It’s now 18 days since the U.S. government unceremoniously shut down because Congress couldn’t agree on a bill to fund a quarter of all federal departments — including paying their employees. But federal workers are starting to feel the pinch after not getting paid for two weeks, and this will have a knock-on effect to U.S. national security. The longer the shutdown goes on, the greater the damage will be. The “too long, didn’t read” version is that before Christmas, President Trump wanted $5 billion for a wall on the southern border with Mexico to fulfill a campaign promise. Despite the Republicans having a majority in both houses of Congress, they didn’t have the votes to pass the spending bill in the Senate, which would’ve kept the government going when existing funding expired on midnight on December 22. No vote was held, even after a successful vote in the House, and the government shut down. When the Democrats took the majority in the House last week following their midterm wins, they were ready to pass a funding bill — without the $5 billion (because they think it’s a gigantic waste of money) — and get the government going again. But Trump has said he won’t sign any bill that doesn’t have the border wall funding. More than two weeks later, some 800,000 federal workers are still at home — yet, about half were told to stay and work without pay. Worse, there’s no guarantee that federal workers will get paid for the time the government was shut down unless lawmakers intervene. Unless the Democrats get a veto-proof majority, the impasse looks set to continue. Government shutdowns don’t happen very often — usually — or really at all outside the U.S., and yet this is the first time in four decades that the government has been closed three times in one year. That doesn’t mean cyber or national security threats conveniently stop. Granted, most of the government is functioning and ticking over. There are still boots on the ground, cops on the street, NSA analysts fighting hackers in cyberspace and criminals still facing justice. But while most of the core government departments — State, Treasury, Justice and Defense — are still operational, others — like Homeland Security, which takes the bulk of the government’s cybersecurity responsibility — are suffering the most. And the longer the shutdown goes on, the greater chance of tighter budgets and that more staff could be furloughed. Homeland Security’s new cybersecurity unit got off to a rough start: The newly established Cybersecurity and Infrastructure Security Agency, a division of Homeland Security, has only been operational since November 16, but about more than half of its staff have been furloughed, according to Homeland Security. The division is designed to lead the national effort to defend critical national infrastructure from current, ongoing threats. By our count at the time of writing, the CISA has been shut down for one in 10 days of its two-month tenure. Threat intelligence sharing will take a hit: A little-known program inside Homeland Security, known as the Automated Indicator Sharing, has also sent home more than 80 percent of it staff, according to Duo Security. AIS allows private industry and government agencies to share threat intelligence, which is shared with Homeland Security’s government partners, to ensure that any detected attack can only ever be used once. The shutdown is going to heavily impact the data exchange program. New NIST standards to face delays: More than 85 percent of National Institute of Standards and Technology employees have been sent home without pay, leaving just a handful of essential staff to keep NIST’s new advice and guidance work going. NIST is responsible for giving all government departments necessary and up-to-date security advice. It also means that FIPS testing, used to grant devices and new technologies security certifications to run on government networks, has completely stopped during the shutdown. Secret Service staff are working unpaid: And, whether you like them or not, keeping the president and senior lawmakers and politicians alive is a paramount national security concern, yet the vast majority of front-line and back office Secret Service agents currently protecting senior administration staff are going unpaid during the shutdown. And that’s just some of the larger departments. The shutdown isn’t only hampering short-term efforts, but could result in long-lasting damage. “Cyber threats don’t operate on Washington’s political timetable, and they don’t stop because of a shutdown,” Lisa Monaco, former homeland security advisor to the president, told Axios on Wednesday. And security firm Duo said that trying to keep all of the cyber-plates spinning at once while not at full-strength is “risky,” especially given nobody knows how long the shutdown will last. All this for a border wall that Trump says will prevent terrorists from pouring into the U.S. 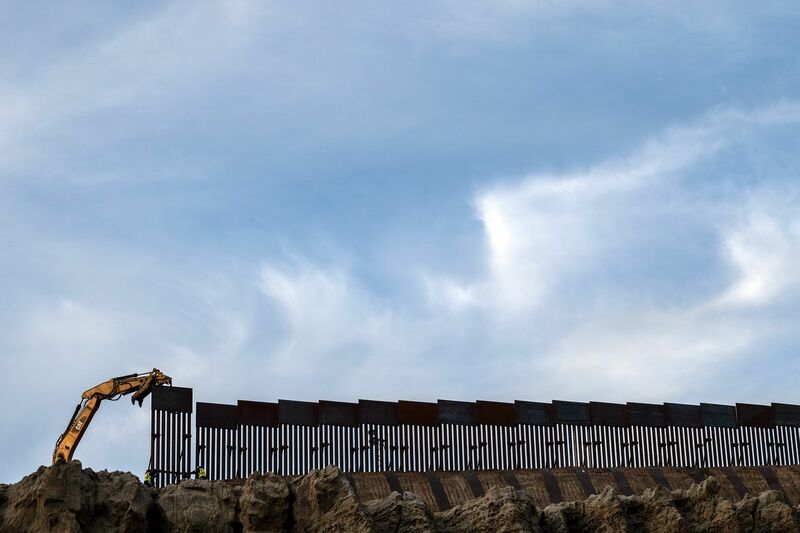 Critics say that the cost-benefit to building the wall vis-à-vis the shutdown doesn’t add up. Experts say that there hasn’t been a single case of a known terrorist to have crossed illegally into the U.S. from the Mexican border. In fact, since the September 11 attacks, more than three-quarters of all designated acts of terror were carried out by far-right extremists and not Islamic violent extremists, according to a government watchdog. The vast majority of terrorist incidents were U.S. citizens or green card holders. A border wall might keep some terrorists out, but it’s not going to stop the terrorists who are already in the U.S. Yet, right now it seems the White House wants the appearance of security rather than the security from a quarter of what the government already has at its disposal.